Closing arguments were heard Thursday in a trial involving a CIA whistleblower accused of illegally revealing classified information on a mission meant to slow Iran’s nuclear program, with prosecutors arguing the officer was retaliating out of bitterness. 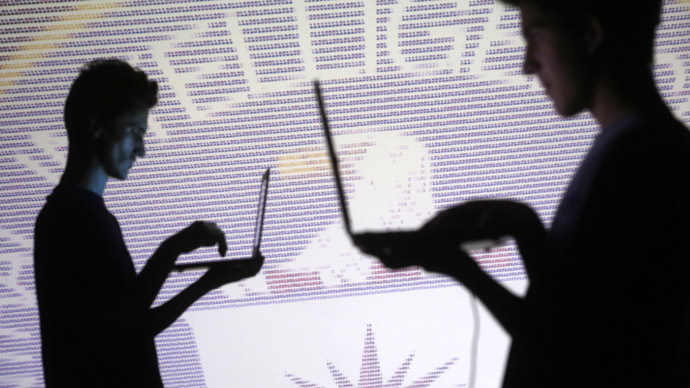 Despite this claim, attorneys representing the United States government acknowledged that there is no direct evidence connecting former CIA officer Jeffrey Sterling to the leak. Regardless, prosecutor Eric Olshan said there is a vast amount of circumstantial evidence against 47-year-old Sterling, AP reported. Despite this claim, defense attorneys argued that the leak could have come from a number of different sources, urging the jury not to jump to conclusions in order to make up for the government’s lack of evidence. Reporting from the trial, RT correspondent Manuel Rapalo said the jury would now begin deliberating. Sterling stands accused of disclosing classified information to New York Times reporter James Risen, who then wrote about the CIA’s Iranian plot in his 2006 book, “State of War.” In the book, Risen cited an anonymous source when he described a secret CIA operation meant to feed faulty nuclear blueprints to the Iranians. The plan’s goal was to learn more about the country’s controversial nuclear program and impair its progress, and the schematics were reportedly funneled to the Iranians via a Russian scientists with the codename “Merlin”. Risen was also critical of the plan in his book, saying it could have inadvertently helped Iran if they were able to identify what was wrong with the blueprints. Olshan argued in court that these criticisms matched up with Sterling’s own view of the mission, and portrayed the CIA as unresponsive to potential risks. “The only person who comes out smelling like roses in Mr. Risen's telling is Jeffrey Sterling,” Olshan said. During the trial, the many CIA witnesses stressed the agency’s competence and integrity. Former chief of operations for the CIA's Counterproliferation Division David Shedd testified that Operation Merlin was considered a success internally, reported Normon Solomon at OpEdNews. Many other CIA witnesses reportedly stated that the mission was not botched. Olshan and the prosecution also painted Sterling as a disgruntled employee who leaked the information because of unrelated grievances stemming from a racial discrimination complaint filed by Sterling, who is African American, against the CIA. Sterling’s defense attorney, Barry Pollack, rebutted these claims by highlighting the fact that government failed to produce any direct evidence linking his client to Risen’s account in “State of War.” While prosecutors showed that Risen and Sterling contacted one another dozens of times, Pollack said that nothing the government presented to the jury showed that the two had discussed any classified information. Pollack also argued that when Risen learned of Operation Merlin in 2003, it was after Sterling reported his concerns to Senate staff on the chamber’s intelligence committee, and that a staff member was likely responsible for disclosing the information. Earlier in the trial, a CIA manager testified that more than 90 people in the government knew about the covert Iran mission. Prior to the trial, the government was engaged in a serious effort to get Risen to testify, in the hopes that he would reveal information about his source. Risen fought subpoenas from two presidential administrations – those of George W. Bush and Barack Obama – but eventually lost his case in court. When he appeared in court under oath, however, Risen refused to answer any questions about his source, and the Justice Department decided not to ask him to testify.